Well, today is Valentines Day and you know what that means? You have the perfect reason to treat yourself! Actually, I think you're awesome so you really don't need a reason to treat yourself other than you're you. This cookie, however, is the perfect treat. 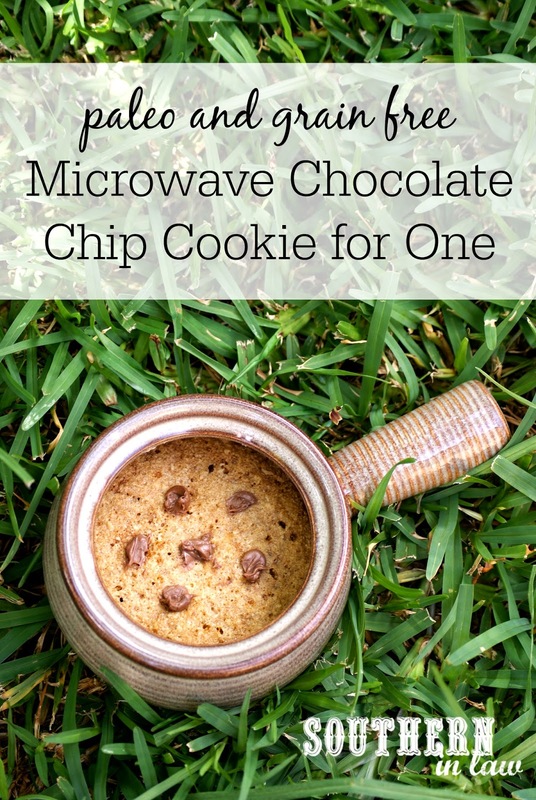 Made in just a few minutes and free from any added nasties, this paleo chocolate chip cookie for one is made in the microwave (or oven, if you have the patience) and is the perfect single serving so that you can have a giant cookie to yourself. Being paleo and grain free, it is higher in fat than other recipes you may see around these parts, however, because I love you and think you're awesome - I've also given some options for lightening up this deeeeeeeeeeeliciouso cookie so that everyone can enjoy it! In a small microwave safe ramekin/mug/bowl, melt your butter (skip this step if using applesauce) in the microwave in 10 second bursts until completely melted. Next, add in your coconut sugar and egg yolk, stirring to combine before adding in your almond meal. Mix all of your ingredients together and sprinkle your chocolate chips on top. 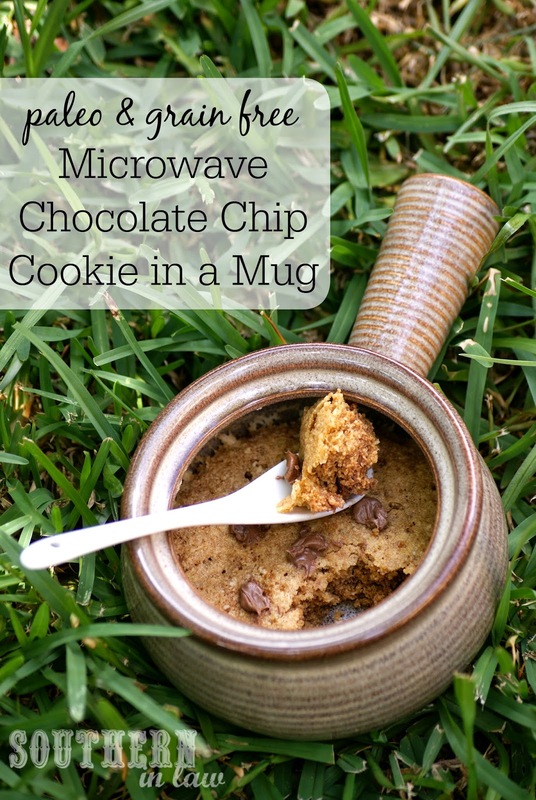 Microwave for 1-1 1/2 minutes or until your cookie is cooked through. For the Lightened Up Version I've found you get the best results when only substituting one of the possible substitutions, however, you can substitute both the egg yolk and butter for a lighter version. 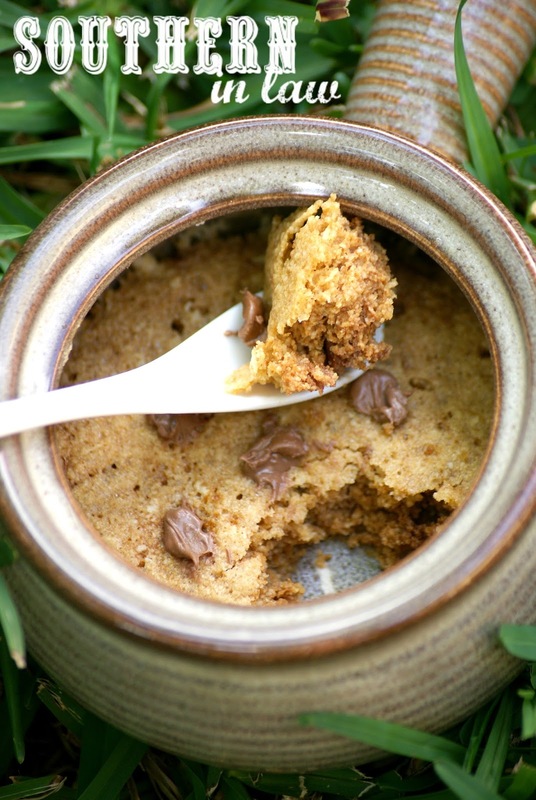 The lightened up version is slightly more cakey than the original and obviously isn't as buttery, however, it's still a delicious treat! Note: This isn't a low calorie recipe (particularly the original version). But tell me, how are you spending Valentines Day this year? And what's your dessert of choice? We started our Valentines Day with Chocolate Chip Peanut Butter Pancakes in bed and we'll be finishing it off with a Twilight at Taronga concert tonight!